DANG, Nov 17: Ram Bahadur Chaudhary of Deukhuri, Dang district has long been resisting pressure from his brother, a local Christian leader, to covert. His continuous refusal has miffed his brother and other local Christians. Ram Bahadur was also pressured to marry a Christian girl from Bardiya, but he rejected the proposal and married a Hindu woman instead. "My refusal to marry a Christian woman as proposed by my brother led to lots of friction and our joint family separated," he said. There are lots of instances in Dang of conversion into Christianity leading to severe friction among family members. Such friction is usually seen among families with both Hindu and Christian members. In many such families quarrels break out on a daily basis. Likewise, two brothers in Satabariya fell out with each other following a dispute over the last rites for their father, who died of cancer. The younger brother wanted to perform the last rites as per Hindu custom while the older brother was adamant on following Christian rites. “My brother and I no longer speak to each other,” the younger one said. According to observers, mixed-religion families run into conflict especially over the last rites for their dead. “In most of the cases I know about, conflict erupted over last rites,” said Bhola Nath Yogi, a Hindu leader in the district. 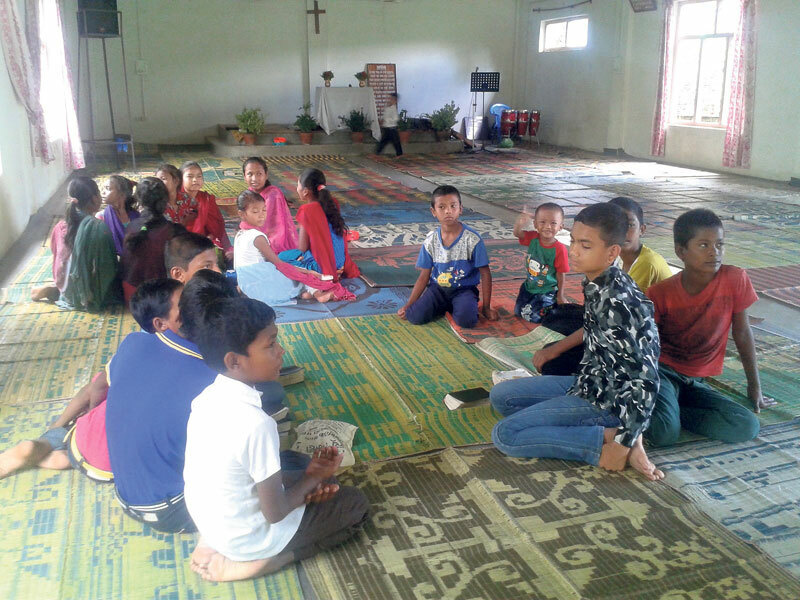 Sociologist Nawaraj Subedi, whso is also vice-principal at Ghorahi-based Mahendra Multiple Campus, sees the fast spread of Christianity bringing complications not only within individual families but in society as well.